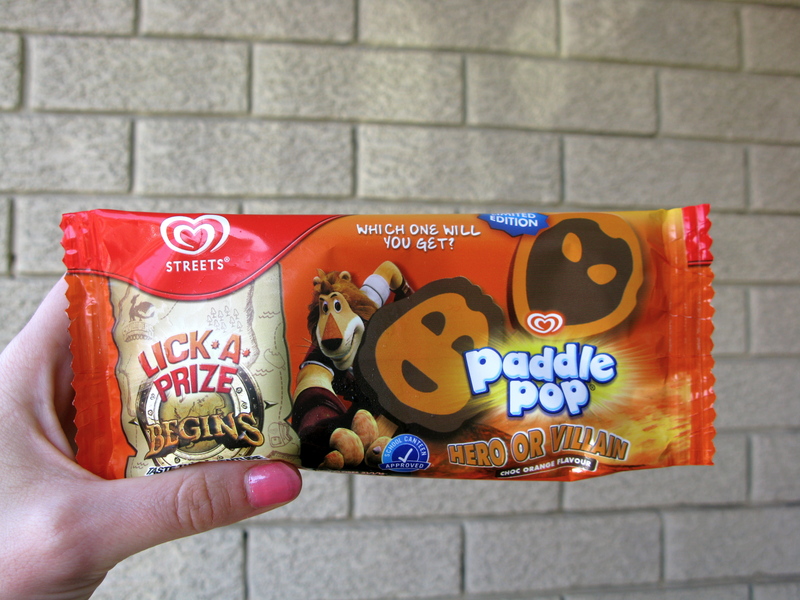 I tried a “Hero or Villain” paddle pop over the weekend – and I landed a villain!! Arghh! 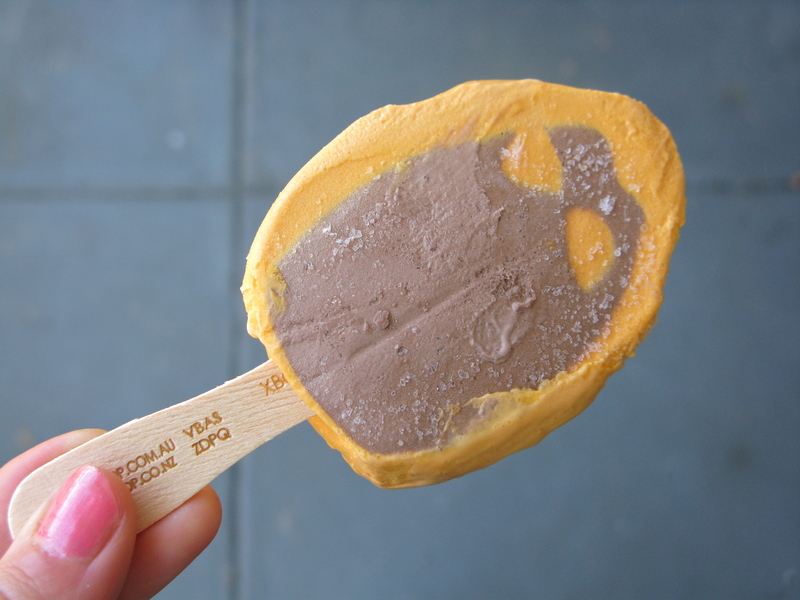 The flavour is chocolate and orange and it tastes like the yummiest jaffa icecream you could imagine. It’s creamier and softer than a regular Paddle Pop and, controversially, has a Magnum-style stick instead of traditional paddle pop stick. This entry was written by prettyprettyyumyum, posted on October 18, 2011 at 9:17 pm, filed under yum yum and tagged paddle pop. Bookmark the permalink. Follow any comments here with the RSS feed for this post. Post a comment or leave a trackback: Trackback URL. Hi Chelsea. I bought it at my local corner store/convenience store. I hadn’t seen it before, so it might be new? Hope you can track it down.